Coach Hawkins came to the varsity baseball program at Normal West H.S. as a varsity assistant coach in 1998 and over that time has helped guide them to either a Big 12 Championship or a Regional Championship in 16 of his 21 seasons with the Wildcats. 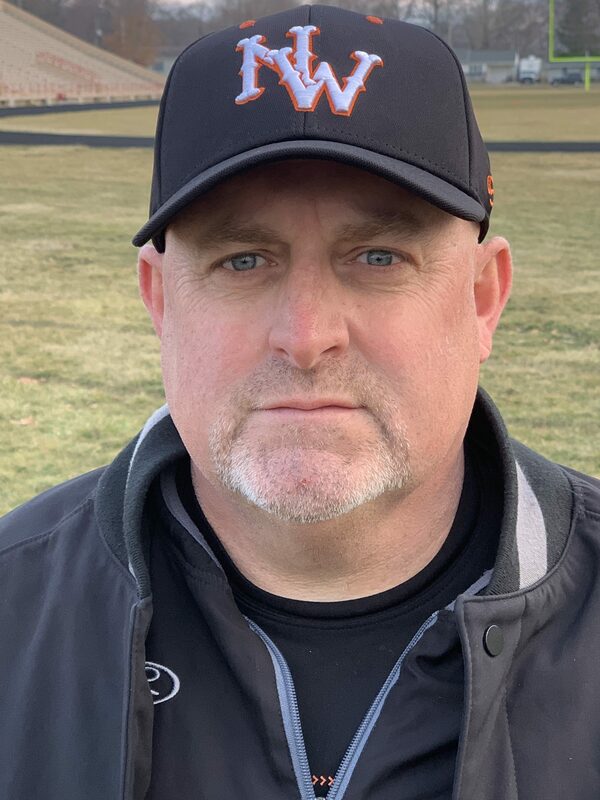 In his 19 seasons as the head coach at Normal West, he has never had a losing season and Hawkins has accumulated a 488-207 overall record (.702 %) averaging 26 wins per year over his tenure. In 2017, Hawkins was inducted into the Illinois High School Baseball Coaches Association’s Hall of Fame. 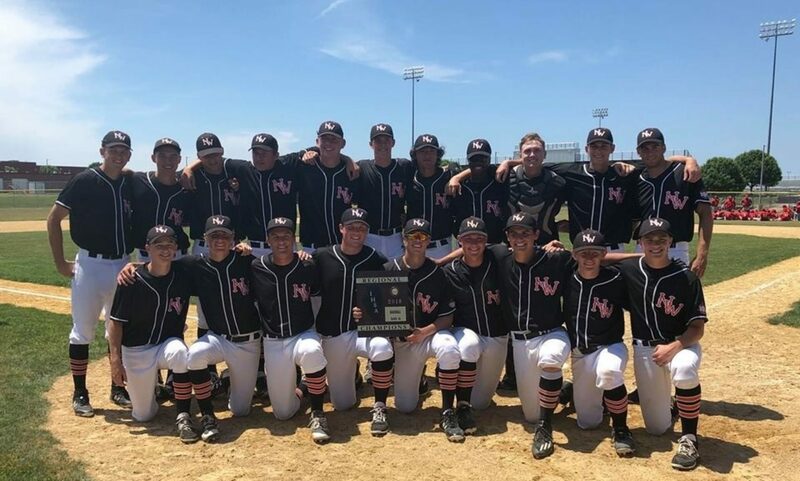 Normal West has earned 11 Regional Championships and has had 9 players drafted and signed by MLB organizations since 2002. As of 2018, Brock Stewart (2010 graduate) is on the Los Angeles Dodgers major league 40 man roster and was named the 2016 Minor League Pitcher of the Year and Jordan Comadena (2004 graduate) is with the Pittsburgh Pirates as their bullpen catcher. 2013 graduate Adam McGinnis is a catcher in the Chicago White Sox farm system. Reid Birlingmair (2015 graduate) is currently in the Oakland Athletics farm system. In addition to coaching at Normal West High School, Hawkins also coaches regularly in the Parkside Junior High baseball program in the fall and the BNBA Gold travel organization in the summer. Hawkins directs annual baseball clinics and camps throughout the winters and summers. In 2001 Hawkins had the pleasure of taking a 14U All Star team from Illinois to Havana, Cuba. In addition he has been named head coach for the Illinois Coaches Association All Star game in 2005, 2013, and 2015. In 2014 he took on an integral role in the initial conception of the annual senior All-Star game endorsed by the Illinois Coaches Association and the MCstrong Foundation. An active member of the Illinois High School Baseball Coaches Association (IHSBCA), National High School Baseball Coaches Association (BCA), and the American Baseball Coaches Association (ABCA), he also worked through the BCA and the prestigious Baseball America publication while serving on the National High School Baseball Ranking Committee for 4 seasons as 1 of the 8 committee members to rank the top high school baseball teams in the United States. Hawkins has been a speaker at numerous events and coaching clinics including Jerry Rashid’s Midwest Coaching Clinic, the I-70 Coaching Clinic in Greenville, speaking annually to the Heartland Hawks baseball team, the Illinois Wesleyan Titan football team, and to the middle school FCA huddles. Background about the Normal West H.S. baseball program—The Wildcat baseball program has concluded its 23rd season of baseball. Normal West has a string of 22 straight winning seasons, including 11 Regional Championships and 6 Sweet 16 appearances. In addition, the Wildcats have won either a Big 12 Conference championship and/or a Regional Championship in 16 of the past 21 seasons. Since the 2000 season, Normal West has sent over 70 players off to college baseball programs across 10 different states including 19 at the Division I level. (1992) Sophomore Coach at Lincoln H.S. (1993 – 1995) Sophomore Coach at Olympia H.S. (1996 & 1997) Varsity Assistant Coach at Normal Community H.S. (1998 & 1999) Varsity Assistant Coach at Normal West H.S. (2000 – Present) Varsity Head Coach at Normal West H.S. Professionally/Personally: Married Karrin Bogar on December 28th, 2001. Stepson, T.J. Bogar graduated from EIU in 2014 and is currently living in New Jersey as a producer of a reality TV series on the TLC Network. Daughter Anna Klaire was born on June 17th, 2005; loves to dance and sing and attends Chiddix Junior High School.